Anyway, as you know, we took part in the Beauty Editor's shoes competition a short while ago and those that ended up in the Top 10, got sent some e.l.f goodies! 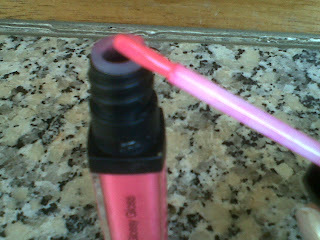 This is the first products from the prize that I'm going to review - Glossy Gloss in Wild Watermelon. I also have another Glossy Gloss and it's in Ballerina Slippers. Will review that later on. Girls, if you're looking for a lot of gloss with a good colour pigment, this is fab for you!! It's seriously glossy, you guys! And it's really pigmented . . I love this colour. It's like a dark pink, very girly! The packaging is so much better than the normal range. They kind of look like Revlon lipglosses. Don't really like the applicator though...gets ruffled up. \The consistency is a bit sticky, so you have to wipe the edges of your mouth so you don't eat your gloss! 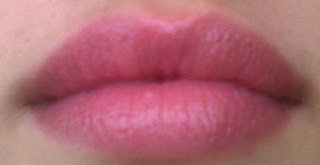 But I think that's why it's so glossy . . you can definitely fell gloss on your lips! And it smells of bubble gum! I tried taking pictures of the gloss on my lips but the camera couldn't catch the real colour and glossiness , which is a bummer. The colour looks kind of really light, but it looks like a darker bubble gum pink in real life. 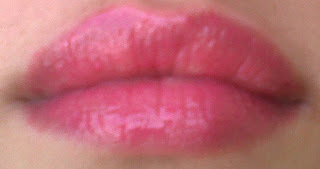 After about half an hour or so, it wasn't so glossy as when applied, but my lips still had that rosy colour, which I like. Lip glosses are ment to be re-applied, that's the fun of them!